SuperTuxKart, aka STK, released version 0.9.2 on July 1, 2016. 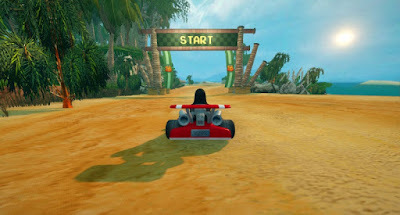 It’s a free, open-source and cross-platform racing game available for Linux, OS X and Windows. It features the mascots of many open source project like Tux, Beastie, Pidgin, Wilber etc, with Mozilla Thunderbird being the referee. You can play with up to 4 friends on one PC, racing against each other, or you can just try beating the computer (a network multiplayer feature is planned). Added 3 new arenas: “Icy Soccer Field” available for free; “Las Dunas” and “Candela City” available as gift packages for people donating to SuperTuxKart.